This is a quick story based off a character from CitizenErased14’s awesome legacy Ashes to Ashes. I felt like Diego needed a bit of closure to his story and Citizen was kind enough to lend him to me and give me free license. You shouldn’t need to read her legacy to read this…but you should read her legacy. This story occurs before Thursday’s post. Rachelle is from my own Huffman legacy and a victim of the MC Command Center’s story progression. I thought she, too, could use some closure. 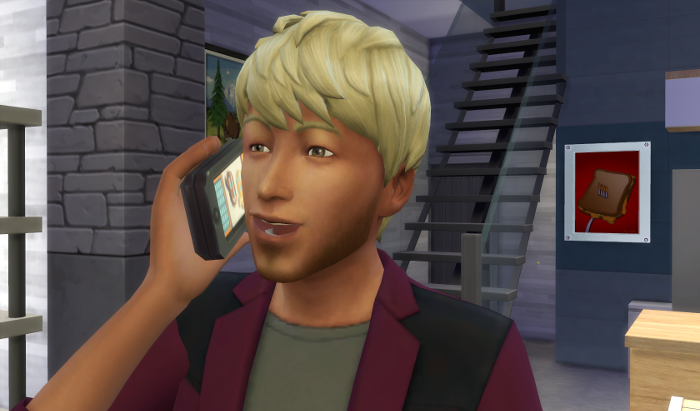 Diego finished his call, hung up and slipped his phone back into his pocket. The sun shone brightly in the sky. He should really get back to the office, but it was such a gorgeous day. He was really excited about the new campaign, the creatives had gone all out to get three big ideas for how to showcase the new line of housegoods. “You can’t catch me!” Children’s shouts pulled his attention back to the world and he looked up. His feet had led him here. His old stomping grounds. Hare Park. But while the kids caught his attention it was the woman watching them that kept it. She wasn’t a beauty, not like Mari. But then Diego had learned long ago no one compared to Mari. But her eyes were Mari’s – full of pain and suffering as she watched the children. It was the same pain Mari’s eyes had held every time he’d managed to catch her eyes the last few months before they’d finally spoken properly. “You’re moving on,” he reminded himself. “You have her forgiveness.” If only he could forgive himself so easily. Their conversation had been over a year ago now. He could hardly say he’d with the way his heart kept breaking every time he visited. His feet pulled him to the woman with suffering eyes. She watched him approach warily, fear and suspicion in her eyes. He couldn’t just keep walking. 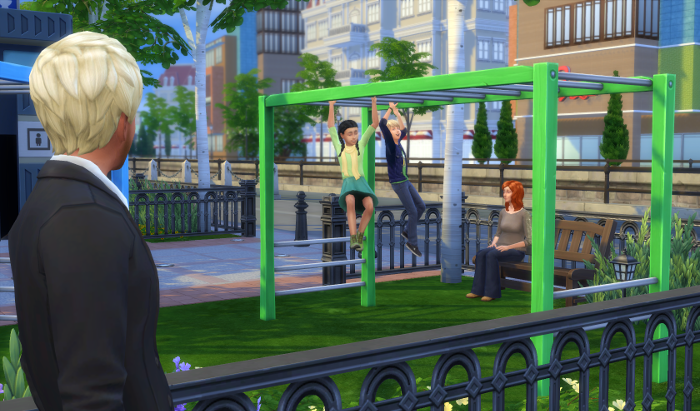 They sat in silence for a while and watched the kids play. “Are they yours?” he asked finally nodding at the two children. She jumped when he spoke, like a scared rabbit. “Simone is,” she replied quietly. He looked at the girl, while she didn’t share her mother’s red hair, he could see the family resemblance in her face. Although, the daughter shared none of her mother’s pain or fear. He remembered Colette at the age, she had been such a strong little thing, being sent back and forth between him and her mother. It couldn’t have been easy, but she’d rarely complained. And he’d loved having her…actually this was the first summer she wasn’t spending with him. He missed having her around. It just wasn’t the same going to visit her. Especially with Mari around. It hurt to see Mari smile at Jonas the way she used to smile at him. He let out a slow sigh, and he felt the woman’s attention shift from wary to curious. “Yes, although Colette is not so young anymore.” Grown up, with kids of her own in fact. Here he was, 37 and already a grandfather. Had he done something wrong? The woman smiled slowly. The smile turned her features from ordinary to extraordinary. But it was gone all too soon. He had a sudden urge to see her smile again. After their initial meeting, Diego found that his feet often wandered to the park when he was in town. Sometimes Rachelle was there and they would chat, sometimes she wouldn’t. It was one of those times when she wasn’t there that he finally realized what he was doing. Was he courting her? 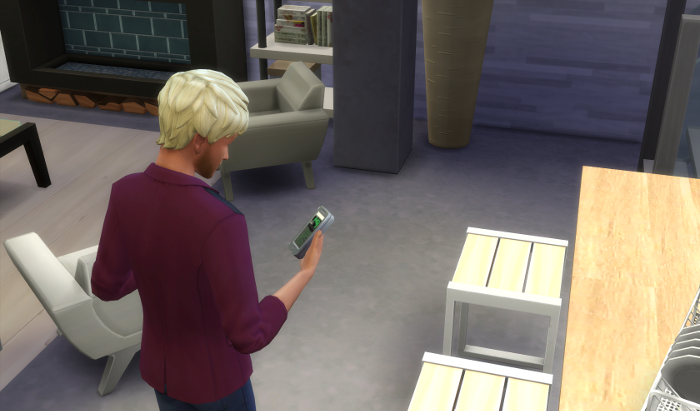 He visiting and found new ways to spend his free time in Windenburg. That summer Diego was swamped at work with the new campaign and his new grandkids. He wanted to be available for Colette and Tobi as much as they needed him and commuting every weekend took it’s toll. 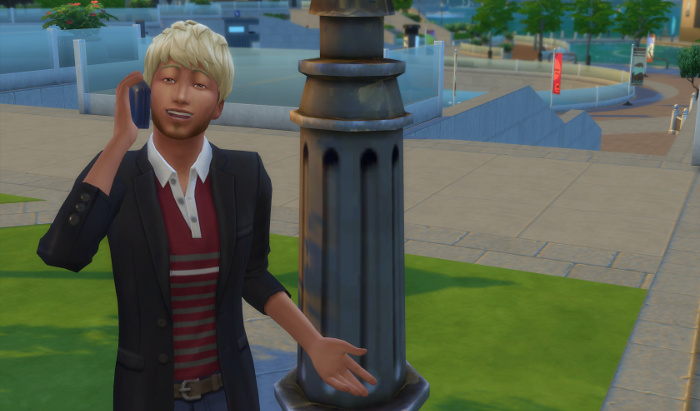 He toyed with the idea of moving back to Windenburg. He was no longer terrified of running into Mari in town anymore – not when he ran into her every weekend when he went to visit his daughter. And with Colette here there was no need to live close to her mother. He spent his vacation time condo hunting and hanging out with his daughter and her twins. 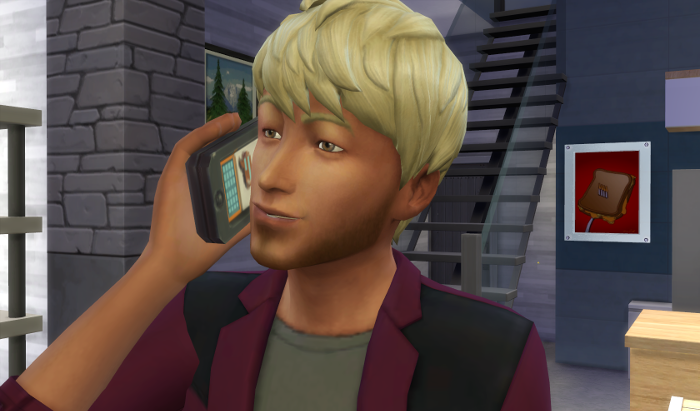 By late summer, he had found a place and gotten transferred to his agency’s Windenburg office. It was a win-win as he was closer to his clients as well. 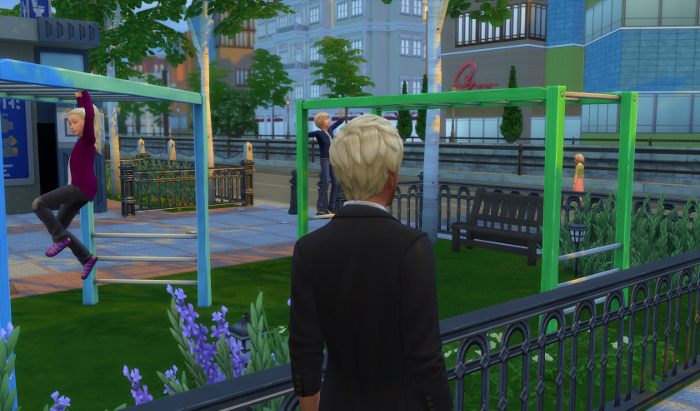 It was getting dark and he was certain Rachelle wouldn’t be at the park, but it was on his way home, kind of. Only a couple block out of his way. He hadn’t picked a condo near the park on purpose. It was centrally located near his work and near Colette. The fact that it was near the park was sheer coincidence. Keep telling yourself that. He though as his feet slowed and his eyes scanned the benches. “It’s been a crazy summer,” he apologized, sitting down. “Oh?” As they talked he found he’d missed their conversations. Why had he stopped coming here? What had he been so afraid of? “How are the little ones?” He’d told her about Colette and the twins already. He smiled. It might feel like he was too young to be a grandpa, but already he was always ready to brag about them. He was really proud of Colette and Tobi and how they were making it work. “They’re full of biggest smiles and starting to crawl everywhere.” They sat in silence a moment. Simone returned from the public bathrooms and came over. Rachelle stood up. “Don’t stay away so long, next time.” Rachelle took her daughters hand and they walked away. Diego watched them until they turned the corner. His heart in knots. It felt so natural to talk to Rachelle, like he and Mari used to talk…before. But it felt wrong, like he was betraying their memories. But…Mari had gone and found happiness without him. Could he do the same? “How is Simone finding third grade?” He asked as he handed Rachelle her coffee. “Already complaining about the homework,” Rachelle replied. 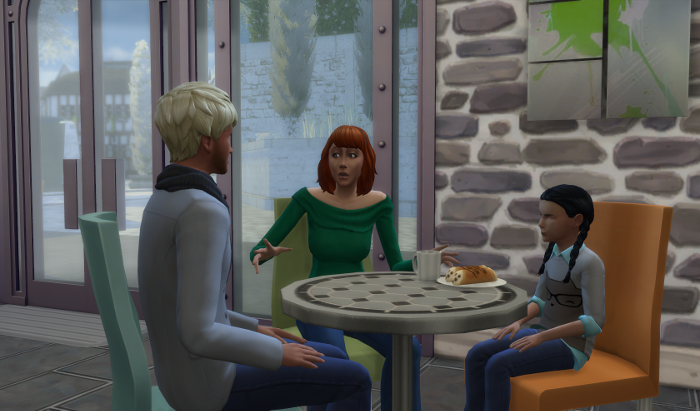 As the weather turned cold, they’d started meeting up for coffee instead of meeting at the park while Rachelle waited for her daughter to get out of school. Already Rachelle looked happier than she had when they’d met in early summer. She smiled more frequently and Diego felt a thrill every time she smiled. He had learned why there was no Mr. Olvera in Rachelle and Simone’s life. It broke his heart that Simone was growing up without a father. Then again he wouldn’t want that man in either of their lives. “Did your event go well?” She asked. She always made sure to ask about his life. He’d never really had anyone care about him like that before. Mari had always thought about herself first and Amelie… well Colette’s mother was even worse. The few women he’d dated over the years had only been marginally better. Rachelle always remember what was going on with his life. “Yes. Over 10,000 people came. That’s unheard of for a promotional event.” Diego grinned. He watched Simone slipped into the coffee shop, backpack in hand, looking for her mother. She spotted them and headed over. Her mom gave her a tight hug. Rachelle always seemed complete when Simone was around. Like she was always waiting for the girl to appear. “And what did you learn today?” Rachelle always asked that and Diego thought it was brilliant. Not “How was school” – he’d asked Colette that all the time and usually had been met with blank stares and shrugs. ‘Okay’ was her answer more time than not. Simone scrunched up her face in thought. “Fractions are stupid,” she replied at last. 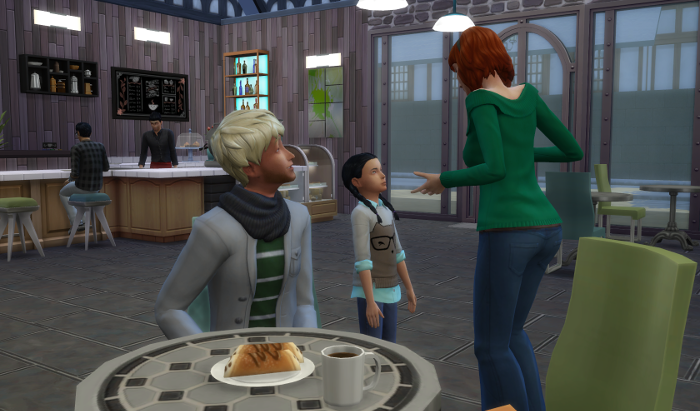 Rachelle’s eyebrows went up in surprise and Diego suppressed a grin. “They don’t make any sense. “Oh – I supposed you don’t want one-third of this cannoli then?” Simone eyed the pastry and hesitated. “Can I have two-thirds?” Evidently she decided that two was probably more in this case. “You can have three-thirds, even,” Rachelle replied. “If you can tell me how much that is.” Diego watched her puzzle it out. Her eyes flickered to his and he smiled “All of it,” he mouthed. She grinned. Rachelle pushed over the plate and Simone plopped down in the chair happily. Her new hatred of fractions if not alleviated, at least stalled, by the sweet pastry. “What are you doing this weekend?” Rachelle asked turned back to him. “I’m visiting the grandkids on Saturday,” Diego shrugged. Diego froze. This was more than the occasional coffee and conversation. This was stepping into her life. He looked over at Simone who was watching him with wide eyes. She didn’t look upset that he was invited. He looked over at Rachelle whose eyes seemed just as big. Filled with hope and a little bit of fear that he would say no. He swallowed the sudden lump in his throat. “Sure,” he said at last and was rewarded with two giant smiles. Inside he was panicking. But he couldn’t disappoint them both. He thought he’d hidden his reaction, but apparently not well enough. Rachelle turned to him as they headed out of the shop and Simone skipped ahead, playing hopscotch on the bricks. “You don’t have to come,” she said. He stared at his phone. It wasn’t a poisonous snake, but for the caution that he held for it, it might have just as easily been one. But he could only put off the phone call for so long. Eventually he had to tell her. Why was this so hard? I just wanted to let you know that I’m dating someone. What do you think about having a step mom…woah – where did that thought come from? They were just barely dating. Marriage a huge if and either way it was a long way off if it was even in the cards. But now that he’d thought of it, he kind of wished it was happening. Marrying Rachelle. Not now – but someday. When had his feeling changed? “Papa?” Colette interrupted his thoughts. “Okay…. ?” Colette was understandably confused. “And,” he thought quickly, “I wanted to congratulate you on completing your first year. With a 3.8 even.” It wasn’t as lie, he’d bought her a present to celebrate and he was planning to give her tonight. But there was no reason to call when he was going to see her in a few hours. So he asked her about school. She was always happy to talk about her classes and he let her voice wash over him. He wasn’t entirely listening. He was still stunned by his earlier thought. Did he…? …he knew he liked Rachelle. He liked spending time with her. 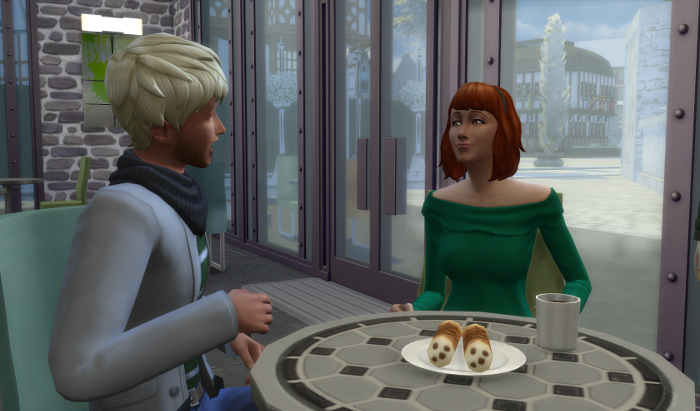 He liked their afternoon coffee and conversations. He liked seeing Simone’s bright eyes investigating the world. Never with censure but with wide-eyed enthusiasm. 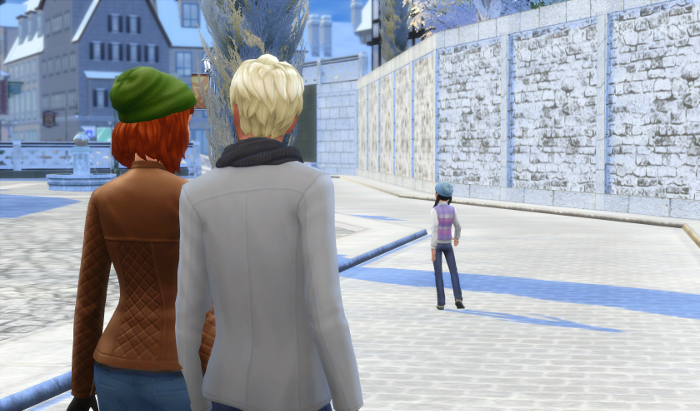 Their walk from the coffee shop to her apartment was so short. He often wished it was longer. On the other hand, the lonely walk from her place to his was too long. And his condo. He’d picked the place so that there would be plenty of room for Colette and the twins when they visited, but most nights, it was too big for just one person. Diego was a nervous wreck when the day of the dinner finally came. Simone was spending the night with her cousin. They’d figured starting off with just Rachelle would be enough. Plus Simone would probably be bored by all the adult talk they were going to be doing. He checked the clock. “Stop pacing,” Rachelle said. He turned and stared. How could she be so calm. Everything was riding on this dinner. He’d never introduced his dates to Colette before. Most of them hadn’t lasted long enough to still be going on in the summers when she’d visited, and even when they had, he’d made it clear to any that lasted that his daughter was his priority during those three precious months. So he had no idea how Colette would react to Rachelle. “Diego.” He closed his eyes as her smooth voice melted his fears. How did she do it. She could calm him with a single world. He collapsed onto the chair and smiled up at her. “How did you get so smart?” he asked ruefully. Then again, he’d never been good at waiting. Actually, most of his problems stemmed from his inability to wait. “Years of therapy,” she replied dryly. He almost jumped out his skin when the doorbell rang and he was there in moments, pulling the door open. Tobi and Colette stood on the other side all smiles, bearing dessert. He pulled Colette into a big hug. “Papa!” Colette squeaked and he realized he was crushed her. He let go quickly and ushered them inside where Rachelle stood waiting to meet them. He took a deep breath. “This is Rachelle,” he introduced his two favorite people to each other. Heart in his throat he waited to see where the chips would fall. “Thanks,” Diego was glad dinner had gone so well. Colette had been understandably curious about Rachelle. It hadn’t quite been the third degree, but everyone had relaxed when it was clear that Colette approved. Diego didn’t want to think of what he’d have done if she hadn’t approved. He loved Rachelle, but he loved and treasured Colette more. If she hadn’t been happy…- but she had been. 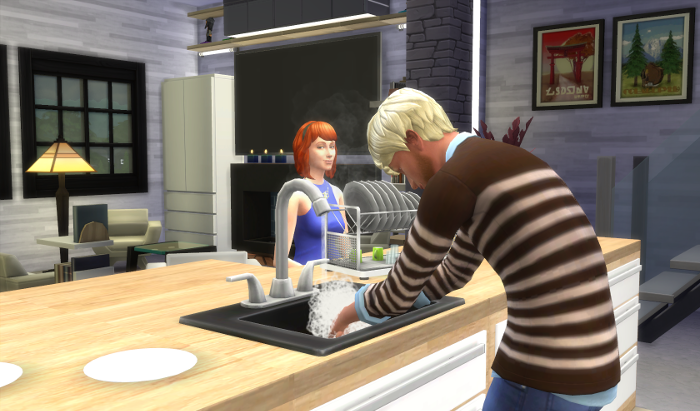 He finished putting away the dishes and came to Rachelle’s side. She was staring out at the city outside his windows. He slowly put his arms around her and pulled her close. He’d learned early on to go slow. She was too easily startled if he was too fast. She leaned into him, smiling and he wrapped his arms around her tightly. “Perhaps I’m biased,” he admitted. He was happy, he realized as he listened to Rachelle’s quiet breath. Insanely happy for the first time…his breath hitched…in a long time. Too long he’d let Mari’s ghost and Mari’s pain fill his thoughts. He wasn’t sure when it had happened. When he’d stopped comparing every woman with Mari and started comparing other women to Rachelle, and comparing Mari to Rachelle. And Rachelle had won. Mari was…well she had been everything to him for twenty years. But Mari was now his past. Rachelle? Rachelle just might be his future. He turned her around to face him and bend down, seeking her lips. 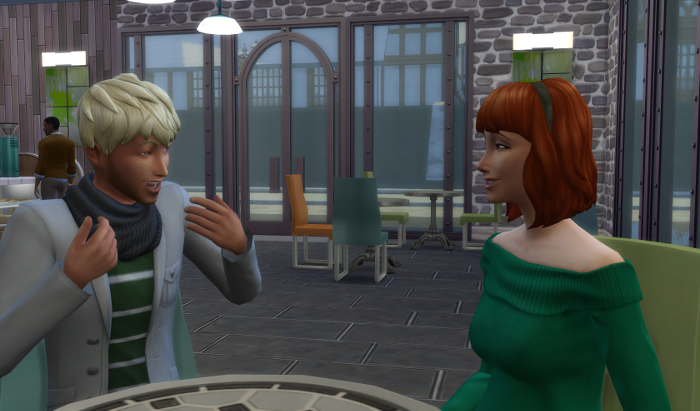 Yay – Diego and Rachelle were super cute in the story as well, and really got along perfectly so I didn’t force the relationship or anything! I’m so, so happy reading this! I love that two broken people can find completeness in each other. And Diego really deserves someone new in his life and all the happiness that follows. I’m glad you enjoyed it! I had a lot of fun writing it and stealing Diego from Citizen. When I wrote what happened to Rachelle in the Huffmans (completely not on purpose – it just came out of my fingers). I though I could use her too! I loved it. So nice for Diego to find happiness too! I’m glad you enjoyed it! It seemed 20 plus years was long enough to have him suffer for his mistake. He’s not at all! 🙂 a complete idiot and well, maybe a bit of an assbag. But he is a good father and a hard worker. Time for a bit of a break, I felt. Glad you enjoyed reading! I knew I loved Diego! He’s totally awesome! And I love the story, so perfect for Ashes to Ashes (which means I love how you blended it and made the characters fit), but also so perfect in his own right! This was awesome! 🙂 I love how you portrayed Diego! Glad it worked for you. Yeah – I loved Diego very soon after I met him and asked to steal him a long time ago. Once I had Rachelle in hand I realized it was now or never. 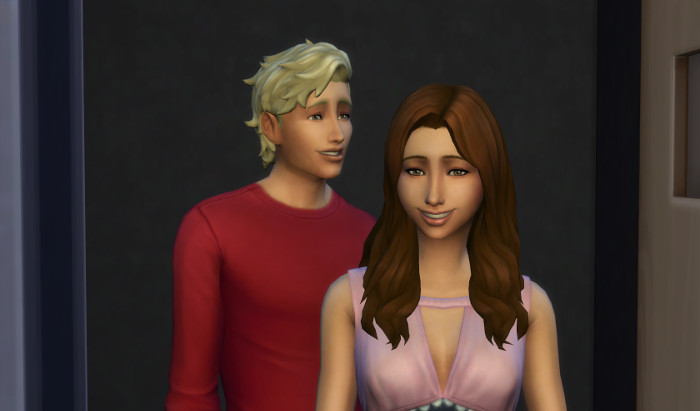 I wasn’t sure if I could pull of the blend correctly – The Huffmans *are* sims while Ashes characters are not. So I’m glad it felt right. (I also cheated and talked a lot with Citizen to get what bits of his character were in her head but not on paper yet). Thanks so much! Once I started writing it, it just flowed out of the fingers. The tough bits were tying the scenes together. You captured the passage of time really well… a lot happened between the scenes, and I was glad that it wasn’t all spelled out! Can you imagine how long it would be!!? Especially with such a slow romance, they’ve really only just started dating and it’s been a year. 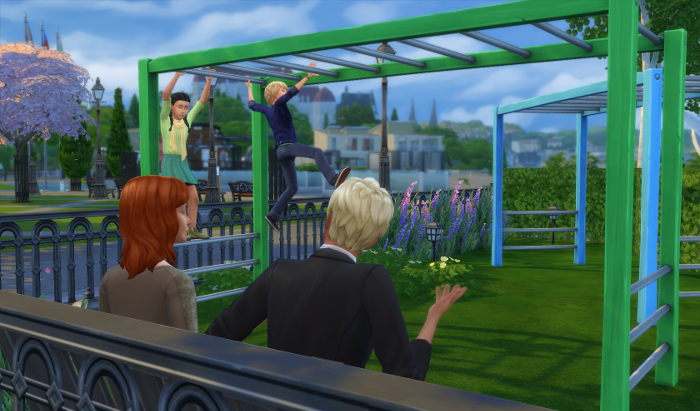 I did have fun trying out the season mods in Windenburg. Nothing breaks up an niter all summer like snowfall and wooly hats! Loved the fractions conversation too. I’m so happy it turned out so well!! Citizen has dubbed it canon! So I think we can say it is!! Not that the Huffman’s will be appearing over in her legacy anytime soon…but Rachelle and Diego and Simone may make an appearance someday. I’m not sure how the fractions conversations came to be, but it’s how I’d want to teach my kids (if I had any) not to hate math just because. Rachelle is a smart cookie and Diego is a very good dad-figure! Yes, Diego is a good dad figure. They look great together and feel so right! It wasn’t until I started shooting that I worried…what if they didn’t like each other? But honestly, they were really happy together, so I’m glad it was meant to be. I love it when sims just mesh! lol, well then! Make it so! This was so adorable a story 🙂 I loved that it was so well-written and you really made it seem so real to me. I hope Rachelle and her daughter becomes a part of Ashes to Ashes. Loved it!!!! Thanks for bringing closure to Diego. I hope to we see Rachelle in Ashes to Ashes! We’ll just keep mentioning it to Citizen! I’d love to see her there as well, if only briefly. Glad you enjoyed the story! He really needed some closure, he’s not an awful person, just did some very stupid things when he was young. I’m so happy you wrote this. I felt Diego needed his own happiness after the conversation with Mari. Thank you for writing it and sharing it with us! I completely agreed!! He really needed some closure after Maris conversation. I’m glad you enjoyed my little happy ending! Ooooooh, finally catching up on that legacy, so in reading this too. So well written, so fitting for his character. Lovely. Awesome. I’m glad you’re able to enjoy the story fully. I was happy to be able to provide a good ending for poor Diego. Omg omg omg!!!!! Of course read about this completely canon closure story for Diego around the time in A2A when Colette and Tobi have their babies. Citizen mentioned it in her author notes! Haha. I was still catching up though during that time and so it slipped off my radar!!! Of course I’ve been missing A2A this week with Amanda at camp so it was super delightful to see Tobi and Colette again even for a moment!! Also brilliant to have them show up for dinner then cut scene to after. That way you didn’t have to attempt “Citizen dialogue” for them. I recall calling Diego “he who must not be named” for a large portion of Gen 2 and even 3 so I’m very glad he’s been completely redeemed now and this shows that he made a terrible mistake but truly loved Mari for all of those years. Also I love Rachelle and Stefanie too and Bella’s girls deserve their time to have love as well. Yeah – the first time I heard about Diego, I was like, you monster, but as we got to know him and what happened, and then seeing him later, still in love – I was glad Citizen let me steal him. I took what I knew and expanded on it, but I had lots of input. I actually liked Anna – though I didn’t like her with Tobias really. But I know that the Windenburg crowd is a bit less umm traditional? Like Alex and Jade and the Partyhaus folks etc. So perhaps Anna thought, ok, Tobi’s wife is on board. Cool.